Klara Neuhaus “does not want advertising”. She is about to celebrate her 92nd birthday and received lots of colored rags from people in the neighborhood yesterday. 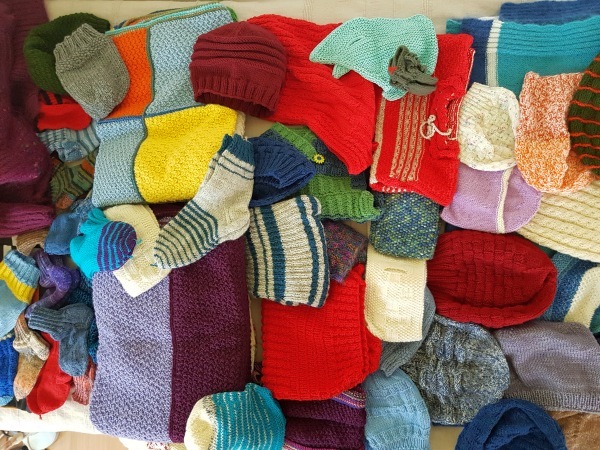 It is well known in Steckborn that Klara lists and knits together with other older women: socks, pullovers and Finkli, wool scarves, but also larger blankets and especially hundreds of Wollchäppli in different sizes – always very colorful, cheerful and above all very useful. 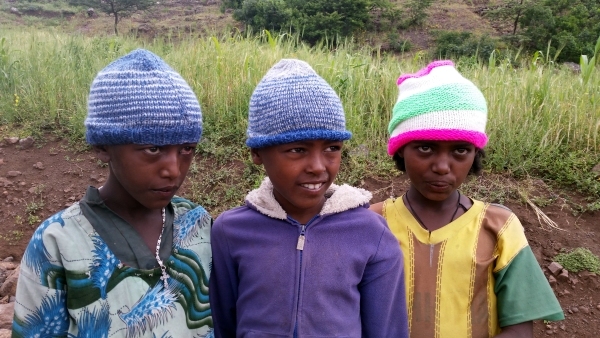 At the beginning of August, our friends from Lenzburg filled three large suitcases with the “estate” of Klara Neuhaus and brought the valuable and extremely coveted cargo to Ethiopia. There she directly reached the street people in Addis Ababa in our center VDI, children in the clinic of Gashena, babies in the orphanage in Durame, and above all our handicapped and elderly appreciate the woolen blankets for the cold nights in the highlands of Lalibela (2600 Meters above sea). 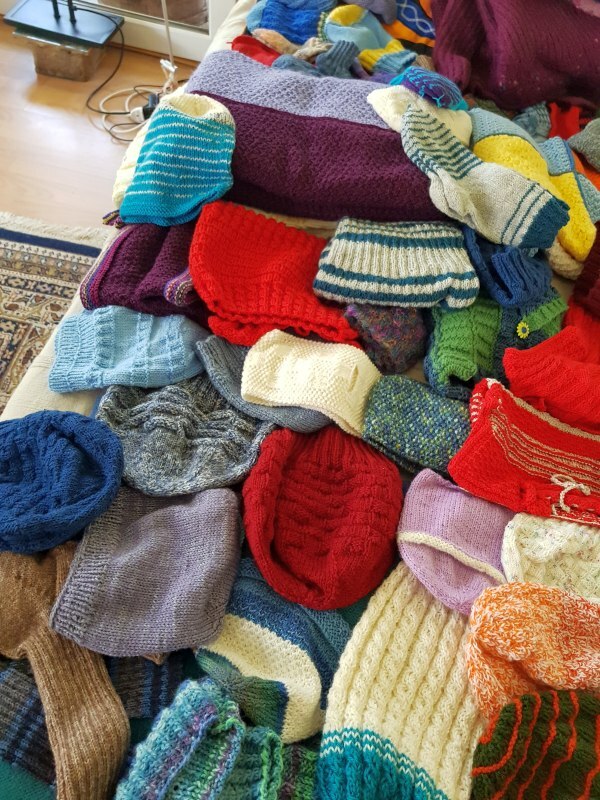 The knitting group around Klara Neuhaus was once much bigger, she says. One has told oneself from one’s own life. Some tears flowed into a pullover or a pair of warm socks. PBF is also well-known in other knitting groups and can benefit from the diligent work in favor of the neediest. PBF has been in contact with a group in Staufen in Aargau for years. 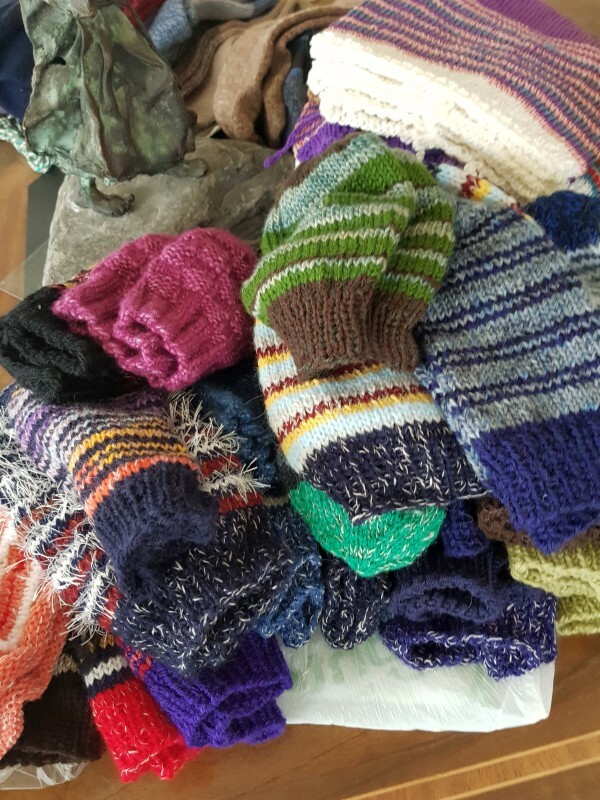 A parish group in Oberwinterthur meets regularly and leaves its goods generously to our foundation for onwarding to Africa. The combination of exchange, direct encounter and extremely useful employment helps to overcome many a lonely hour in old age. Keeping in touch with other knitting groups is still very important to us. “It is just as good for the Lord God to peel potatoes as to build dome” (in “Star on the High Seas”, 1957).